ARCC team member Colin Courtney-Mustaphi, University of Basel, published a report on PAGES-supported Global Palaeofire Working Group workshop activities at the AFQUA meeting at national Museum of Kenya, Nairobi, Kenya. 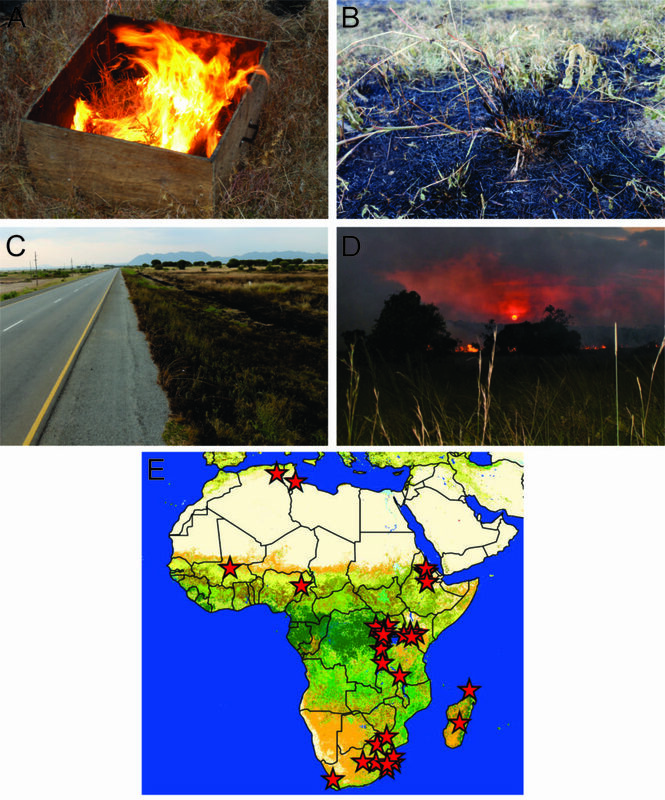 The report discusses the participants and the data needs for understanding patterns of fire across the African continent. Figure 1: (A) Experiments, like this 1×1 m controlled grass burning, help relate vegetation-fire-charcoal proxy measurements to paleoecological charcoal records. (B) Residual culms and mainstems from grazing and burning that will regrow leaves and inflorescence. (C) Roads and linear infrastructure increase fragmentation altering spatial complexity for fires. (D) Grass and woody fuels burning near Klein’s Camp, Serengeti National Park, Tanzania, 16 July 2016. (E) Published charcoal records that participants identified during a literature review, including records absent from the Global Charcoal Database (Map source: due.esrin.esa.int/page_globcover.php). Photographs: Colin Courtney-Mustaphi. 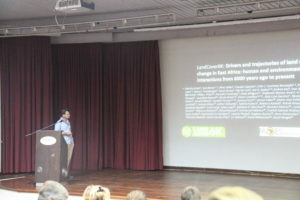 Rob Marchant (University of York) presents LandCover6k synthesis results and ongoing activities.